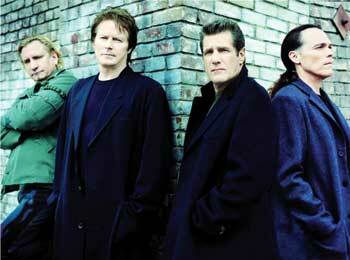 Bir-Casting: The new generation of oldies radio means goodbye Dean Martin, hello Eagles. Commercial radio, make way for the revolutionary new KBIR! KFRC was my default radio station in the car. I knew I could count on it in traffic and on long drives to make me feel good. But no longer. Please add this one small voice of disappointment to what I assume is the growing mass of upset listeners. I understand the need to change to keep advertisers and please your supposed demographic, but if I wanna hear the kind of music you're playing now, I'll go hang out in my dentist's waiting room. I NEVER did send that email. What's the point? Oldies KFRC-FM (99.7) is no more, and that's the way it's going to stay. Its oldies format is now replaced with so-called "new oldies"—Eagles, Fleetwood Mac, Billy Joel. Sending whiny emails would momentarily placate my disgruntlement but would accomplish nothing in the long run. It's just another nail in the coffin for commercial music radio. Oldies stations are dependable standbys; you can tune into one in any area of the country, and its DJs and set lists will always sound the same. You'd hear at least one Motown song an hour, some British Invasion, a Brill Building song and maybe a doo-wop tune. The songs that make up oldies radio endure, but the audience of oldies radio does not. More and more stations are switching over to the so-called "Jack" radio format in an attempt to capture younger listeners, folks in their 30s and 40s. Proponents of the Jack format claim it embraces eclecticism and spontaneity because of expansive playlists and an iPod-shuffle approach to programming. While cruising the dial in a half-hearted attempt to locate a KFRC replacement, I ran across another station that has hopped on the Jack bandwagon: MAX-FM (95.7). Their motto? "'70s, '80s ... Whatever we feel like!" MAX claims to have a music library of more than 1,000 songs. That's a lot compared to a Top 40 station, but hardly impressive. And what's edgy and spontaneous about a radio station that only plays certified hits? Radio, as a medium, ideally creates a community of listeners and involves them, exposes them to new sounds and ideas. But the more I listened to these purportedly innovative radio formats, the more isolated I felt. Shortly after I lost KFRC to lite rock, Mr. Bir Toujour came home with a shiny iPod (as curmudgeons and tightwads, we are perennial latecomers to trendy gadgets). While Toujour monopolized my laptop with his marathon of downloading songs onto the sleek white hard drive, I got to thinking: if radio stations could play "whatever we want," a "who's who of your own personal playlist," then why couldn't I? If KFRC and MAX can do it, so can I.
Ladies and gentlemen, I proudly introduce to you KBIR, a revolutionary new concept in radio programming. This exciting new format appeals exclusively to 29-year-old female hack pop-music critics—a hot, up-and-coming demographic with loads of potential. KBIR draws on an expansive music library consisting of thousands of songs and hundreds of albums, all played at random. On KBIR, there's a 3 percent possibility that any given song will be by Tom Waits or the Ramones and a 1 percent possibility that any given song will be by Orchestral Maneouvres in the Dark! You are just as likely to hear the Spice Girls as the Original Carter Family or Cab Calloway. And KBIR is guaranteed Eagles-free! So far, KBIR has generated nothing but positive response from its rapt audience. The only drawback is the size of the audience, but she has assured KBIR management that she will eventually get her own iPod and return her husband's to him any day now. Radio analysts are reputedly trembling with fear at the prospect of millions of consumers procuring the necessary hardware to create their own KBIR affiliates, where they will likewise play whatever they feel like. Of course, in doing so, these consumers are excluding themselves from the radio ideal, the community connected not by location, but by airwaves. Ultimately it's the radio stations that lose, because by valuing advertisers over audience, they isolate the warm bodies at the other end of the dial. KBIR—it's downright chilly.